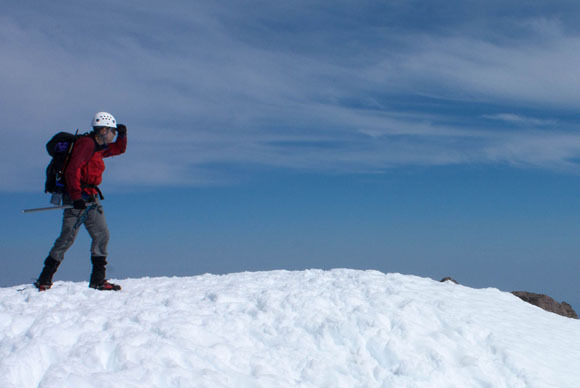 Since 1948, Seattle Mountain Rescue has been a dedicated volunteer team of alpine climbers, ready to respond to wilderness emergencies year-round. We share a love for the outdoors, and we aspire to leverage our collective experience to help others who have found themselves in need of it. From extreme technical rope rescue on the snowy slopes of Snoqualmie Pass in January, to the simplicity of hiking up Mailbox Peak to hand a benighted hiker a headlamp, our members take pride in serving their community. We are called to action over 150 times each year. If you have intermediate level alpine climbing skills and have a strong personal desire to join the team, we accept applications throughout the year. New applicants are interviewed during our February and August Board meetings, on the third Thursday of the month. NOTE: SMR is currently not accepting any new applications. We will begin accepting applications in January of 2020. For membership inquiries please contact our Recruitment Chair. Have three years of alpine mountaineering experience, including technical rock and glacier. Be able to provide references from two members of the mountaineering community. An Avalanche Level 1 course is encouraged, though not required at the time of application. Be able to demonstrate sound decision making skills in the backcountry. In addition to these prerequisite requirements, candidates must pass a background check by the King County Sheriff’s Office.